It doesn’t take a PhD to understand the outcome of Tuesday’s City Council vote, despite the Daily Camera’s (11-3-11) efforts to explain the election through a national anti-incumbency lens. I believe City of Boulder voters were simply voting with two main issues in mind, and those resulted in incumbents George Karakehian and Ken Wilson receiving fewer votes than two newcomers to the Council. The first issue the Camera correctly identifies: both Karakehian and Wilson opposed measures 2B and 2C, with Wilson’s campaign materials even toeing the line with Xcel’s and other opponents’ scare-mongering arguments. However, the Camera fails to identify a second, perhaps more important issue that led to Karakehian and Wilson receiving fewer votes than Suzanne Jones, Liza Morzel, and Tim Plass: Open Space use policy. Both Karakehian and Wilson voted to support building a mountain bike trail on Anemone Hill in October, whereas Morzel opposed it and was reelected with the second highest number of votes. Karakehian and Wilson were also two of four candidates supported by the Boulder Outdoor Coalition (BOC), which “advocate[s] stewardship, access and appreciation of public lands,” per their web site. “Access” is their key word, in case there’s any confusion. The BOC’s other two endorsed candidates failed to win seats on the council. I believe that Boulderites support stewardship, access, and appreciation of Open Space, but we also recognize that we have something special, particularly in the West TSA that shouldn’t be seen merely as another playground. For mountain biking specifically, Boulder has developed off-road biking opportunities on three sides of town, what with the new Valmont bike park and the recently opened trails in the Dowdy Draw area (which I use regularly and will note are suffering from ever-widening trails from bikers and hikers traveling the edges). 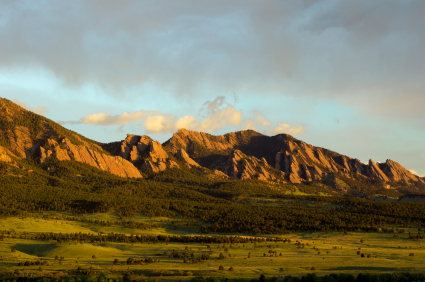 The West TSA, however, remains the equivalent of Boulder’s national park, an area of special attention for preservation, and more of a space for nature and of spiritual retreat than a playground. I suspect many other voters in Tuesday’s election support this view, and voted accordingly. So consider Tuesday’s results not as an anti-incumbency reaction, but one instead of thoughtful consideration of what values our community should hold going forward. Next Topic: LWF Forum: Health Care Reform: Are you at Risk? Interpreting election results according to one’s own goals is irritating, but it’s commonly done, so that’s fine. All we know for certain is good people who were good candidates ran good campaigns and won. I helped write the BOC Mission Statement; the words were chosen carefully to represent exactly how we felt, and they are in plain english – there is not “any confusion” about this meaning Nick, unless it is in your mind. So I’ll clarify again: “Stewardship, Access, and Appreciation” is exactly what we meant. Anyone is free to try and interpret election results, but please do not interpret others words for your own purposes. I listen to other people’s viewpoints and I respect and honor them at face value whether I agree or not. I kindly request the same. “Access” is the word the differentiates BOC in its mission statement from Plan-Boulder. At least that’s how one independent, non-member of either of these groups sees it, though I’d imagine neither Plan-Boulder, nor BOC members would agree with that simple differentiation. I should have written it that way, perhaps, but did not. I take responsibility for that, though I don’t think the rhetorical flourish quite deserves a “seriously oversteps his bounds” condemnation. Regardless, apologies extended to you and BOC. Your Reply was gracious Nick; thank you and I appreciate that. If my comment was worded too strongly, my apology as well. While it is possible and reasonable to disagree on any number of things, I am very pleased we agree on the value of civil discourse.